Exoterm–it d.o.o. is one of the largest Central European companies for production, development and marketing of insulating, coating and other inorganic products for ferrous and nonferrous metallurgy. At Exoterm-it we are well aware that the concept of quality is not limited to a product being compliant with the requirements, but includes the satisfaction of customers and all other parties involved. In view of this, our relatively young team of employees use their knowledge, inventiveness and experience to develop, manufacture and constantly improve our products and services. We keep our customers satisfied with after sales support, providing further information and additional services, while using the created added value to keep our owners and employees happy. In year 2000, in order to maintain the highest quality standards, we introduced a quality management system with the BVQI company. On 28th November 2001, we were awarded the ISO 9001:2000 Quality Certificate 1 and, in November 2010, the ISO 9001:2008 Quality certificate. In October 2013, after a successful re-certification audit, this certificate was extended until November 2016. 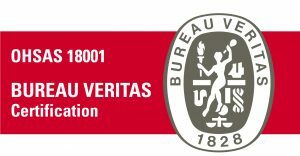 In September 2016 we again successfully passed a re-certification for a new version of the standard, receiving the ISO 9001:2015 certificate, which is valid until 10.11.2019. We are aware that the quality of products and services depends on the quality of individual processes and sub-processes in the company. Therefore, our quality management system is based on a process approach, where the planning and provision of necessary resources and the implementation and monitoring of each process and sub-process individually take place, to guarantee their smooth functioning and, consequently, successfully meet the needs of our customers. In managing the quality system we use so-called Deming PDCA Cycle: Plan – Do – Check – Act. The fulfillment of our quality standards, which are written in our quality policy and economic plan, and continuous improvements of the quality management system are checked annually by two internal audits and a managerial review. We are proud that as many as 10 of our 41 employees are qualified internal auditors who can successfully carry out the audits. Concern for the environment – by waste reduction, the installation of high-quality and environmentally friendly raw materials, the rational use of energy and environmentally friendly equipment in compliance with legal requirements.